Gaurav Kumar (30) was born in Chandigarh, India. He is an Artist/Technologist by education and a blogger by profession. He loves technology and business world, and most of the time you will find him reading, writing and talking and about the same. He is a content writer, web designer, and motivational speaker. He is most popularly known as a founder of eAskme. Let’s read what blogger from India has to say about his experience, journey, and of course tips for newbies. Q1. Hi, Gaurav. You are technologist by education and blogger by profession. That’s interesting! Tell us something about your blogs? Ans. eAskme.com is not the only blog that I have created. There are few other blogs such as wikihealthblog.com, iOSCrunch.com, DesignersCrunch.com, awardwinningblog.com are few of my new and old creations. eAskme is a tech blog. It covers all aspects of internet marketing and making money online. It is a blog where you can learn how to start your own business and make money with a blog. It is not just a site, it is a community of bloggers, and all members are referred as “eAsker”. Q2. Great! What gave you a kick to start your career as a blogger? Ans. In the beginning of my career, I was a call center executive. I worked years in call centers and learned the way to please people and understand their psychology. I was not aware of blogging till 2011 when one of my friendtold me about this. My first blog was a news blog on blogspot.com, and it was the hit of the year. Within first two months, Google started paying me over $500USD/per month. But soon things changed. I was not aware of SEO and Google policies so that blog got banned. I found out that I had to learn more about Google and in 2014 I started eAskme.com. Q3. Have you ever faced any hurdles while entering into the blogosphere .If yes then how you overcome them and became a successful blogger? Ans. The very first hurdle when you want to become a professional blogger is to face your family and society. In India still people think that if a person working from home that means he has nothing to do actually. Even family had question “Gaurav, what you think you want to sit at home all the time”. It took almost two months to make my family agree with my decision. The next thing is that there was no proper coaching available for blogging. I have read many blogs of famous bloggers and found out that their posts were very old and hardly updated. So ideas were there but I had to test and find out which is workable. The very first thing I did is to learn about Google policies, Google algorithms, SEO and optimization techniques. These things helped me a lot to become a successful blogger. I started focusing more on readers and analyzing readership has helped me to understand what my readers want from my blogs. Q4. 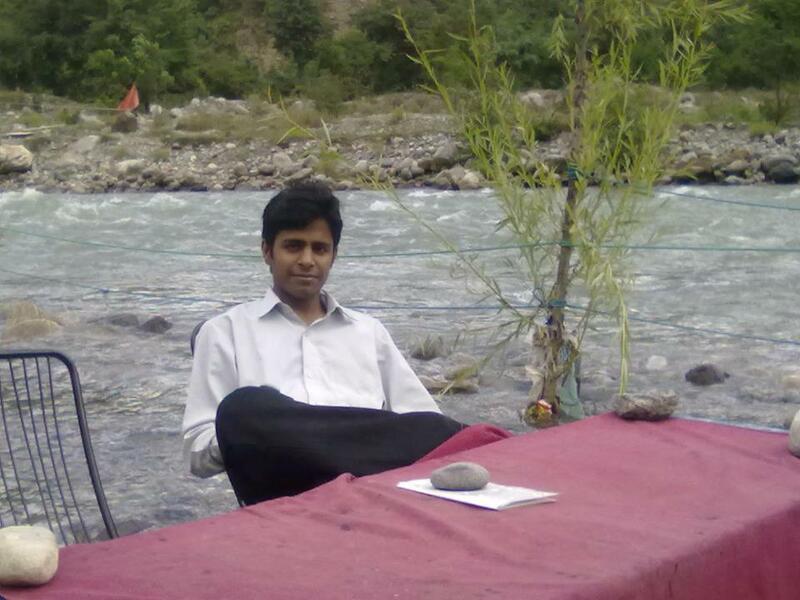 Gaurav, did you ever think that a blog will turn you into an entrepreneur? Ans. From the beginning, I strongly believed that only blogging can turn me into an entrepreneur. I made a chart on which I have written the names and earnings of the top most bloggers. I always keep looking at that chart and telling myself that was my goal.Things became favorable and I became an established blogger and internet entrepreneur. Q5. What is the revenue model for your blog and how much you are earning with your blog? Ans. In the beginning, my focus was on Adsense earning, But as we all know Adsense in India does not pay much. So eventually I shifted my focus on other ways to monetize my blogs such as direct ads, affiliate marketing, sponsored reviews. I have also created professional blogging course for those who wants to learn blogging online. I do share my earning details on eAskme most of the time. Usually, my earning goes around $10,000 to $16000. But there are expenses also. The more I invest the more return I get from Blogging. Ans. Many people ask me the same “Gaurav Sir, What is the future of blogging” and I always answer “it totally depends on upon you.” There is an endless scope in blogging. Blogging is evolving. Every year there is something new to do. It is definitely a most promising career but only for those who are dedicated. Blogging is all about passion. If you want to become a blogger you need to be passionate about your blog. You need to care it, nourish it and it will give you fruit throughout your life. Ans. Competition is everywhere no matter a person want to be a doctor, teacher or want to join an army, you can see competition all around you. Competition is a good thing as it makes you deliver the best and get best results. So a blogger should not be afraid of competition. To beat the competition a newbie blogger needs to start from the basic such as SEO, algorithms, optimizations, email marketing etc. Bloggers should also learn from their competitors there are various tools such as majestic SEO are there to help bloggers analyze the competition. Bloggers should also focus more on their readers than just search engines. Q8. Valuable tips! Gaurav, who all are the bloggers you get inspiration from? Q9.Tell us 3 mantras that help you to become a blogger in a very short span of time? Ans. Be passionate : No matter what other say or how hard time you see, never quit on your blog. Keep learning and Keep sharing: Learning and sharing are the keys to gain more readers, followers which will bring more money. Monetize every single opportunity: A bloggers should learn about every monetization factor and monetize his/her blog according to the niche of the blog. Ans. It is the era of digital marketing. Things are going online and digitalization has changed the world in a completely new way. There will be more improvement and techniques we all will see in coming future in the field of Digital marketing. So make it your strong card. Ans. I always say that if you want to achieve something than trust that you are achieving that thing already. All you need to put your complete focus and energy of your goal and it will deliver you everything that you want in your life.